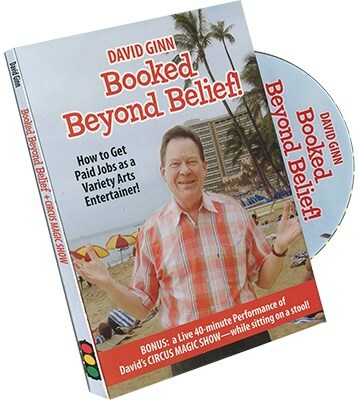 For 40 years now David Ginn had made a living magic - by sending letters & flyers, calling clients on the telephone, and going to see people in person. Those are the only 3 ways to self book shows. Everything, including your website, fits into those 3 categories. and it takes all 3 working together to book your own performances. Circus Magic - Sitting Down!